Muddy Waters' first-born son arrived in 1954 and was given his mother's maiden name. The boy was raised by his mother and often heard the nicknames "Muddy", "Mud Jr." and "Little Mud". Also known as Larry Williams, today he says you can, "Just call me MUD!" 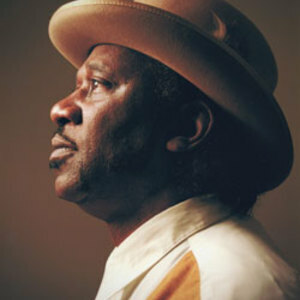 Just like his old man Mud Morganfield was a truck driver with a passion for music and in his spare time he would sing with various soul groups. Just like his old man Mud Morganfield was a truck driver with a passion for music and in his spare time he would sing with various soul groups. As he grew older and particularly since his father's funeral in 1983 (where he met his half brother Bill Morganfield for the first time) he moved towards and finally embraced the blues. Mud is his fathers son, looking remarkably similar and possessed of a fine baritone voice in the tradition of Muddy Snr. Mud cut his teeth in the clubs of the Chicago Southside, but has until recently kept a low profile and quietly built a solid audience with childhood friends like Eddie Taylor Jr helping him out on the bandstand. Mud Morganfield's first UK shows in 2007 were a sell-out success and he has since toured throughout Europe, North America and South America.